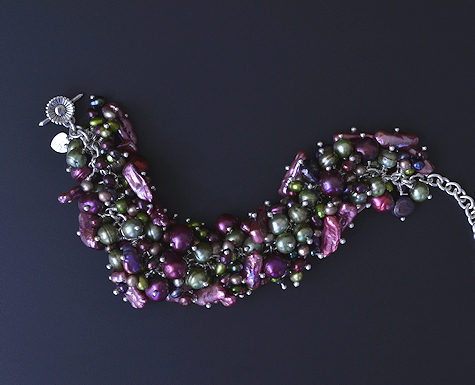 This wiggly bracelet has lots of pretty pearls in different colors. 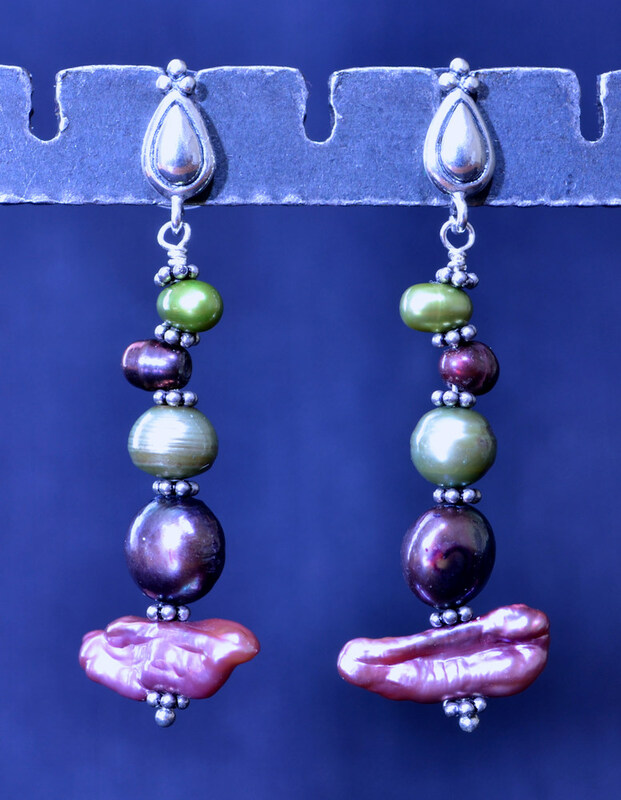 They are attached to the heavy sterling curb chain with headpins so each pearl stack moves independently. I will finish it to fit your wrist when you order. 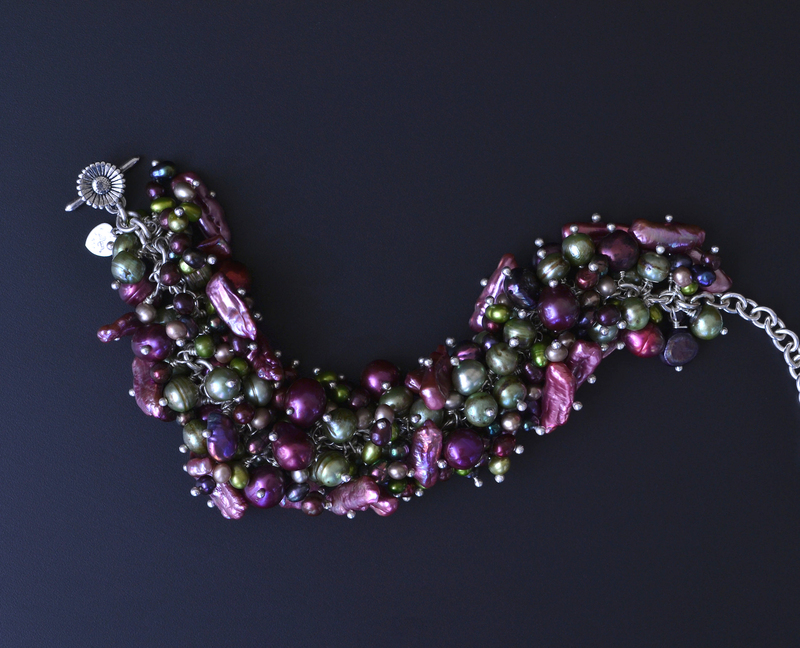 It has a nice weight with all those pearls so you'll want it to be a bit snug but not tight. Please order it today!